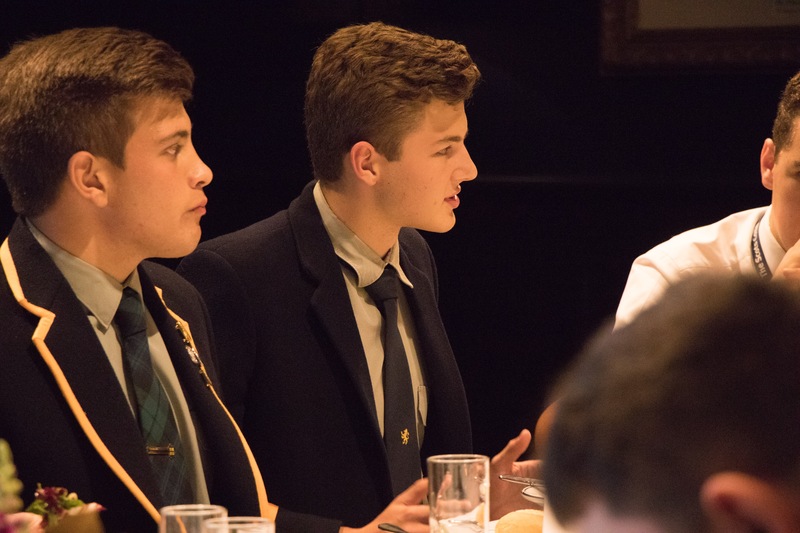 In Conversation connects our leading Year 12 students with outstanding Old Boys. In 2017, we welcomed Dr Casey Handmer (’05) and Prof Peter van Onselen (’93) back to Scots. 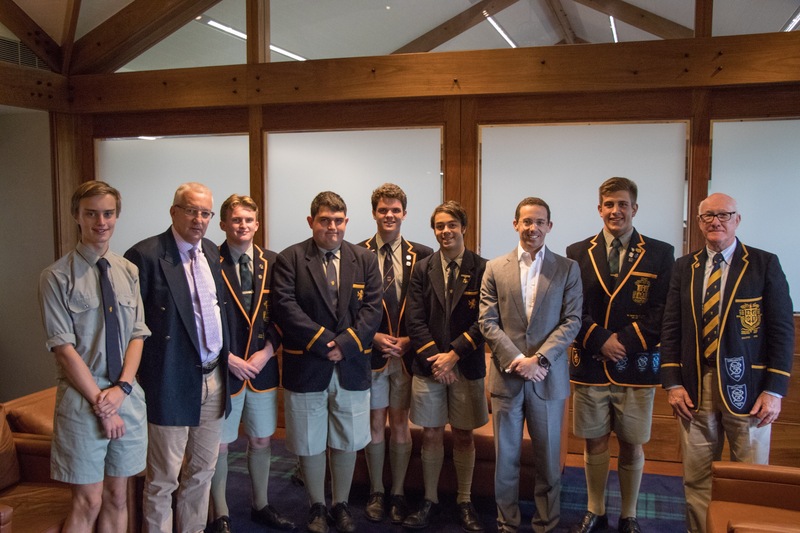 On Wednesday 21 March 2018, we had the pleasure of welcoming Mr Hamish Magoffin (’01) back to Scots to discuss the interplay between STEM and financial education. 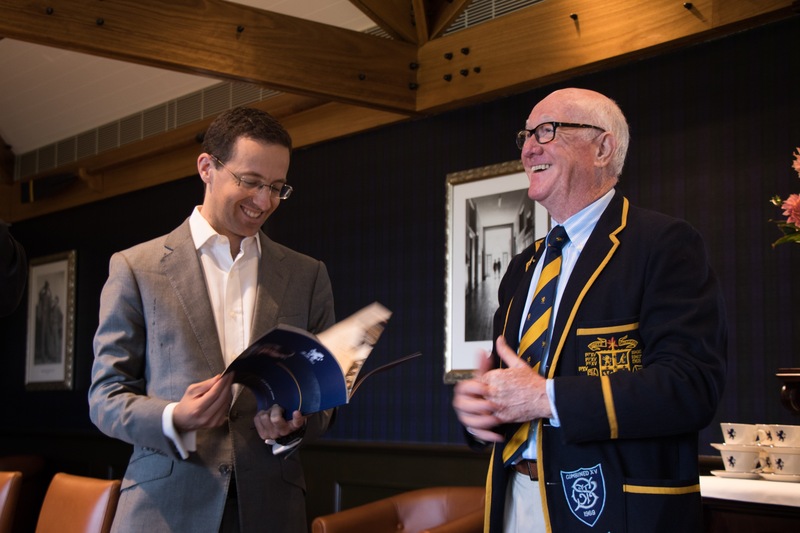 Hamish Magoffin ('01) reconnects with his Year 12 economics teacher, veteran Scots educator, Francis George. Hamish was as talented a runner as burgeoning economist when he was at Scots. After he graduated, Hamish read for a Bachelor of Commerce in Accounting and Finance at UNSW. Working in the UK, Hamish was recruited to work at Morgan Stanley in part because of his skill for programming computer applications. 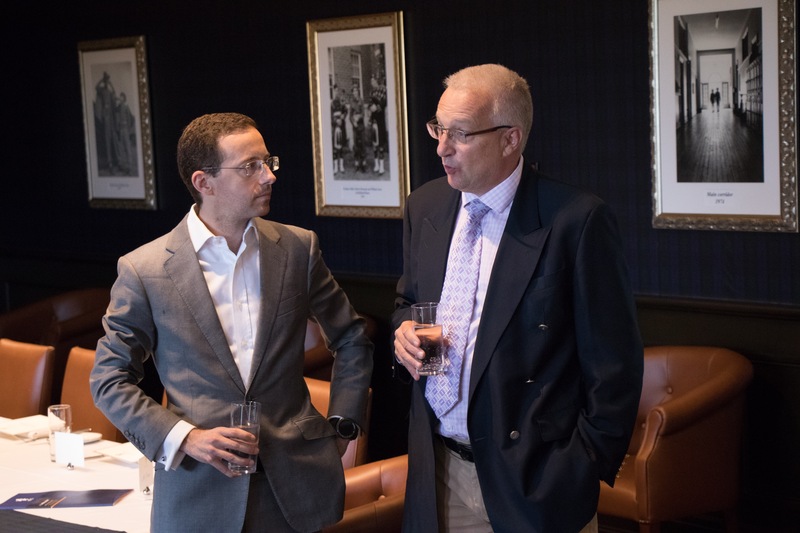 Following that, Hamish pursued further study at the University of Oxford’s Saïd Business School; graduating with a Masters in Business Administration (MBA). In 2011, he founded HRM Global Investments and went onto become the Managing Partner at Breakoff Capital; a firm that invests in leading edge technology by working closely with science entrepreneurs. 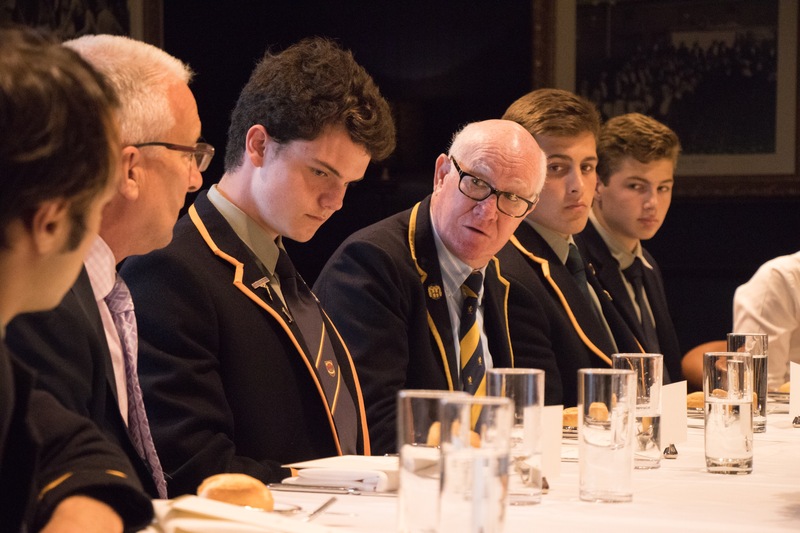 The boys present asked great questions of Hamish — ranging from how the increasingly protectionist tenor of global politics will impact venture capital to how quantum computing will disrupt global industry to the ethics of genetic sequencing. The roadmap for the Australian economy, according to Hamish, is strong but challenges are posed by the educational skills gap. With the direction of the UK and the US uncertain, Australia must look to Asia; he noted. The great change and disruption brought by technology was a key conversation point among the boys and Hamish. Together, they brought to the fore a greater range of issues than are typically discussed in our public square. The Scots Advantage is more than a slogan — it is an outcome. Being exposed to such a talented mind and given the chance to ask questions of a talented young Old Boy is an outstanding advantage that is made possible only through the College’s strong relationship with its alumni. In Conversation serves three core purposes. The first being it brings talented Scots Old Boys back to Scots and reflects to them the diverse nature of the modern College. The second highlights to current Scots boys what success looks like and lays out for them the steps they must take to achieve their own career successes. Finally, it provides cultural leadership for current boys from their forefathers — it shows that the value of a continued association with the College is in its intellectual rigour as much as it is in cheering at a sports game.